UNION, WA / ACCESSWIRE / September 28, 2018 / The founders of The LineBacker(TM) company are pleased to announce that their home security door bar is now even more effective than ever at preventing home invasions and burglaries. To check out The LineBacker and learn more about how the door entry security hardware works, please visit https://www.linebackersecuritysystems.com/products/the-linebacker/. As a company spokesperson noted, no other door lock or security hardware that is currently available will perform as well as The LineBacker articulated door restraint. When you check out the competitors, and we hope you will, notice if there is any movement in the door when a force is applied. Or look carefully to see if there is a space between the door and the device,'' the spokesperson noted, adding that if there is movement or space for movement and someone kicks the door, the homeowner will have damage and very expensive repairs to either their door or the door jamb. That will not happen with a LineBacker. With a LineBacker deployed, the door is pinched against its stops and is immovable. Thanks to The LineBacker, homeowners can have invaluable peace of mind that their houses and loved ones are safe from a home invasion or any other unwanted entry through a door. The recently-improved LineBacker, which is now stronger than ever, is already creating quite a buzz with people who are eager to keep their homes as well-protected as possible. As one recent reviewer noted, The LineBacker definitely lives up to its claims. I found that the device is exceptional, as well as sturdy and easy to install,'' the reviewer noted. The founders of The LineBacker have designed and manufactured what they believe is the very best value in door security hardware. The LineBacker(TM) is a product that will protect the lives of the people the users love. For the inventors of the LineBacker, it was about product performance and peace of mind - they know that nobody is coming through a door with a LineBacker installed on it. 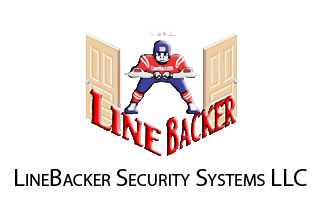 For more information, please visit https://www.linebackersecuritysystems.com/.